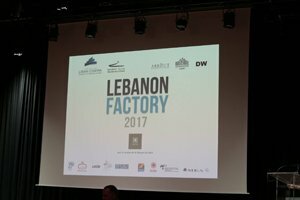 After Taiwan, Nordic, Chile and South Africa, Lebanon Factory will open 2017 Directors Fortnight in Cannes with 4 short films cowritten and co-directed by 8 directors: 4 Lebanese and 4 foreign ones from Portugal, Costa Rica, Bosnia Herzegovina and France. They will co-direct their films with Una Gunjak from Bosnia, Ernesto Villalobos from Costa Rica, Manuel Maria Almereyda Perrone from Italy, Lucie La Chimia from France. The films will premiere in Cannes 2017 opening the Directors Fortnight.